Investors in debt schemes have woken up to another rude shock. Some fixed-maturity plans (FMPs) of Kotak Mutual Fund paid lower than the expected amount on maturity of the scheme. HDFC MF, also caught in the mess, chose to extend the maturity date of the one of its FMPs by 380 days. Fund houses have been aggressively selling fixed maturity plans (FMP) with a promise of high returns in debt securities. Some are now saying that they will not be able to pay the full amount on redemption because they are stuck with debt securities of the Zee group. 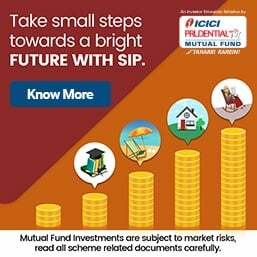 On Monday, Kotak Mutual Fund informed its investors that it would not be able to redeem the FMPs, which matured this week, because of their exposure to debt papers issued by companies belonging to the Zee group that are backed by the shares of the Zee group and the fund cannot sell these shares. 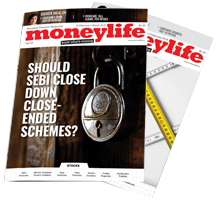 The Zee group had got into a ‘standstill’ agreement with the mutual funds (MFs) in January this year, promising to resolve its financial troubles by September. Kotak’s FMP series 183, which matured on 10th April, has an exposure of Rs108 crore to the Zee group’s debt, while the FMP series 127, which matured on 8 April 2019, had an exposure of Rs81 crore. HDFC MF, which also has exposure to Zee group, told investors that it was extending the redemption date in some of its FMPs by a little over a year to 29 April 2020. The fund house sent out a letter to investors that it was extending redemption date for its series 35 FMP, which matures on 15 April 2019. “The purpose of rollover/ extension is due to current interest rate scenario and portfolio positioning, the yields prevailing in the short maturity bucket present an option for investors to lock in their investments at current prevailing yields,” HDFC MF told its investors. According to media reports, among the major fund houses that have an exposure to Zee group are: Aditya Birla Sun Life (Rs2,588 crore), HDFC MF (Rs1,152 crore), Franklin Templeton MF (Rs994 crore), ICICI Prudential MF (Rs782 crore), Reliance MF (Rs430 crore), Kotak Mahindra MF (Rs372 crore), SBI MF (Rs371 crore) and Baroda MF (Rs284 crore). According to the mutual funds database of rating agency ICRA, as of end-February, the MF industry’s total exposure to Zee group’s debt papers was nearly Rs7,000 crore. As the name implies, fixed maturity plans, or FMPs, are supposed to be debt funds to be redeemed after a fixed term, which usually lasts for less than two to three years. The name itself is a misnomer of sorts because it is sold as a ‘fixed income’ product, but the returns are not fixed. It is the tenure of investment that is fixed. Not being able to pay back the investment plus the returns after the fixed term means a clear breach of trust. FMPs are sold as offerings with lucrative post-tax returns and, therefore, are sold more aggressively to high net worth individuals (HNIs) and corporates. They invest in debt instruments (which are indicated to investors), with maturity matching the period of the scheme. In this case, the loan was given against pledged shares of Zee Entertainment Enterprises Ltd (ZEEL), the flagship company of Subhash Chandra’s Essel group. But FMPs are not transparent products and are close-ended. Hence, they have a knack for getting into trouble especially after a long bull market. In the aftermath of the 2008 financial crisis, it was found that many FMPs have a direct and indirect exposure to stock markets, finance companies and real estate companies and to hybrid, securitised paper representing unknown pools of mortgage-backed receivables. When mutual funds invested money in Zee group's debt, they accepted Zee group's shares as a collateral. The problem is that almost 40 fund houses and finance companies did the same. If they all collectively sell Zee group shares to recover their investment of Rs13,000 crore, the share price would crash. Hence, fund houses have been saying that in the interest of financial prudence they are not selling Zee shares in the open market. Unfortunately, this is a false and post-facto justification of irresponsible lending by mutual funds which, instead of acting as investors, were competing with finance companies as lenders. Gross violations , frauds take place of phenomenal size. Every time new version. What the regulators and all other agencies dozen of them do ? Huge loss to small investors, their life becomes miserable ? Is anyone bothered / responsible???? Are all these triple A rated type of situations like all other instances where there is serious default ? Rating agencies are becoming a systemic risk. BAN THEM ! And so much miss selling of FMP as better than FD ! SEBI sleeping? ILFS,NBFCs,ZEE how many skeletons? MF sahi nahi hai! distributors) but safety down! Horrible! yet another reason to shun mutual funds permanently. Mutual funds have become a systemic risk. They indulge in lending like Banks with no over sight from RBI . SEBI and AMFI do not understand Credit. There are two things that are clearly wrong in this. One, investing in an asset whose maturity date is beyond the maturity date of the scheme is obviously wrong. Two, the fund has no authority to enter into standstill agreement, since the money belongs to the investors and funds are only pass through vehicles. Clearly, this is a serious breach of trust by the concerned mutual funds. SEBI should come down heavily on this. The least we should see is that a few heads roll at these funds and the AMCs are made to bear the burnt, not the investors. Could someone clarify for me - if a fund house does not honour the maturity of its fund, doesn't it mean it has defaulted? Bankruptcy action cannot be taken against it? The prospectus makes it clear that debt funds have every right to postpone the repayment or extend the maturity period. In exercise of these clauses MFs are extending maturity period. Let us remember MFs are an altogether different tribe. SEBI itself has cautioned investors about market and other risks of MF investments. “Other “ risks? Pray what they may be? In my opinion , Market risk and natural calamity risk are the only risks that an investor in mutual funds should be expected to bear. It’s the job of the fund manager to mitigate all other risks. Debt mutual funds are opaque in terms of the kind of security they invest in. On top of that they are complex to understand - Gilt, money market etc etc. And yet personal finance experts - money life included - routinely suggest investing in debt mutual funds over fixed deposit. I will willingly forgo a couple of interest percent to have the convenience of FD. ( Nearly a year or so back I got taken by this advices and moved my fd to debt mutual funds investing in recommended funds. Thankfully after 3 months of seeing nearly zero increase in value I realised it was 2 complex for me. And moved all back to Fd.) 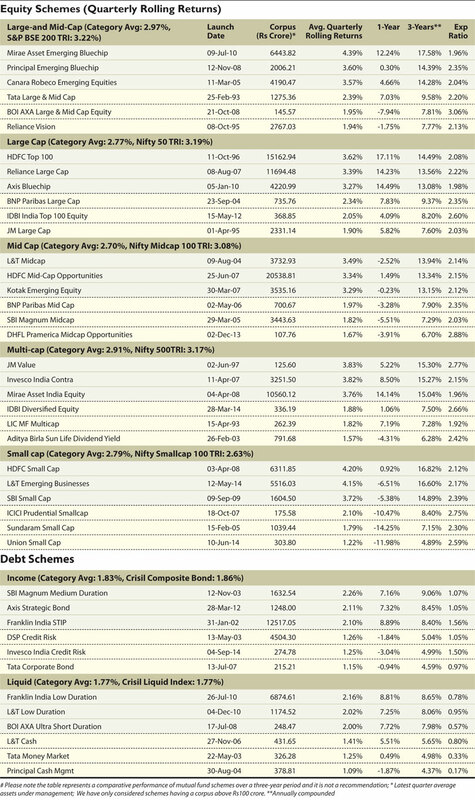 High time personal finance advisors measure their preference / exuberance for debt funds over fd. Or at least simultaneously highlight debt funds requires a steep learning curve.